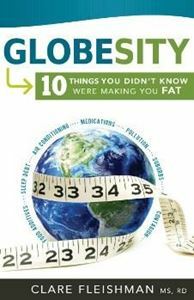 Discuss the major environmental obesogens which lead to metabolic changes which in turn contribute to obesity. Identify ways that individual obesogens disrupt normal mechanisms of homeostasis and set the client up for a metabolism which encourages weight gain and related disease. Better assess clients’ needs and propose interventions to help guide them in achieving permanent weight loss. Identify individual as well as community-based solutions which may alleviate the growing obesity burden in our societies by tackling different aspects of the multifactorial problem. Identify actions which healthcare providers may take within their disciplines to change policy and outcomes for clients whose weight management is affected by specific obesogens. Instructor C. Fleishman, R.D., M.S. Describes how appetite is normally regulated. Cites how appetite can become dysregulated and contribute to weight gain and obesity. Describes a range of factors that can influence appetite control. Identifies lifestyle interventions that can be used to regain appetite control. Identifies the role of appetitesuppressing medications.